Many organizations would like parental alienation to be considered child abuse. But before that can happen there needs to be a discussion about how to make this a crime, and what constitutes the crime. In other words, what gets included as being criminal, you cannot make it criminal for parents to express their beliefs and values to a child. 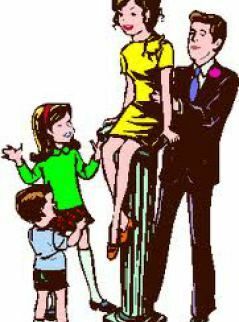 So if a parent does not like the other parent or feels that some of the other parent’s choices are not favorable ones and not ones that the accused alienating parent wishes for the child to duplicate or adopt, you have to make sure that the defined crime is not an unconstitutional infringement on fundamental rights. Just because you might not agree with what the other parent says to the child or how that parent expresses what they think about you to the child, does not mean that you can criminalize that part of their speech. The First Amendment covers free speech. There are things you can and cannot criminalize about free speech. For instance, you cannot yell bomb in a crowded room if it is not true because people can get trampled trying to escape the danger. You also cannot incite others to violence. And so for parental alienation, we would suggest that you make it criminal to incite a child to act on the negative beliefs or views that you have of the other parent. In other words, if the child refuses to go because you have told them that they will suffer if they do, you have caused the child to act on something negative you told them about the other parent. Why is this so important, why should you be so careful about how you define this crime? If you have ever been through the family courts, you know that you should be very careful about what you ask the courts to do, how you ask it, and how the wrongdoing is defined. The same is true when you are asking your legislator for a new statute or a new crime to be added to the criminal statutes. Think about how would you define this crime? What would constitute parental alienation (PA)? 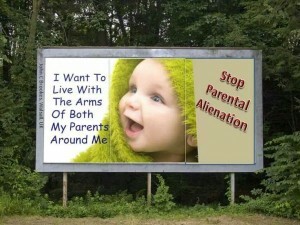 Parental alienation can be done consciously or unconsciously, but either way it is harmful. Parental alienation would not qualify to be punished as criminal unless the child acts on the alienating parent’s negative influence. For example, if the alienating parent (AP) is saying to the child that the other parent is dangerous and they should be afraid of that parent, and the next time you go to pick your child up the child screams and runs from you and says you are dangerous and are going to hurt them, this would qualify. For it to be criminal, there must be intent, so the example that dictionary.com provided above where PA can be done unconsciously would not qualify for criminal sanctions. We hope this helps you come up with a solution in your state to punish those who create circumstances where children refuse to see or be with the other fit and loving parent. If you believe that alienation is occurring in your case, get connected with your local parental alienation resource or a national organization. Get in contact with an expert who can help you cope and deal with the alienation within the courts as well. There are support people in practically every state. Some support groups are more active than others. Also make sure you get in touch with an expert and learn more about it and how you can cope and address it day to day. There are many organizations. A couple in Texas are, you can get in contact with Dr. Kearns or Dr. Warshak. You can also find books on the subject. One book, that I had when I was experiencing PA in my child custody case is, “Where Did I Go Wrong? How Did I Miss the Signs? Dealing with Hostile Parenting & Parental Alienation.” And I had Richard Warshak’s book, “Divorce Poison” as well. In California, you can get in touch with Catherine MacWillie with CustodyCalculations.com. Catherine was the best friend of one of the first people I contacted about parental alienation. This lady sadly has since passed but her work lives on in Catherine. PreviousGuardian ad Litems can Cost you Your Child Custody Case.